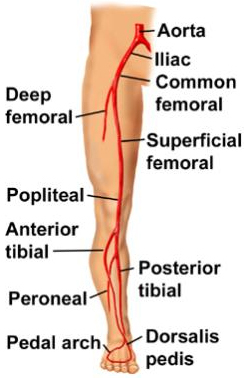 With the new season upon us I need to remind you to protect your femoral artery, which is the second largest artery in the body located in your thigh. Although it can be defended by the low parries 2, 7 and 8, the best protection of this important blood vessel is achieved by wearing strong fencing breeches. In the warm salle, it's very tempting to fence wearing shorts or lovely thin leggings. Please resist this temptation. At least once a month in our sessions a blade breaks during a fight, leaving one of the fencers with a sharp stiff forte in her hand - it can go through the leggings like through paper. The breeches must be worn high enough so they also protect your lower abdomen - there should be at least 10 cm overlap between the breeches and the jacket in the on guard position. These are the official guidelines issued by British Fencing which we must adhere to. On the electric piste the breeches are obligatory in all weapons: that includes foil and sabre. You can exercise under coaches' supervision wearing just truck suit bottoms - but this must be done steam (non electric). The Club's beginners' range jackets and masks should also be used only for exercises. If you want to fence competitively but haven't bought your whites yet, the club might be able to lend you some second hand kit, please enquire. The short answer - with your finger please. 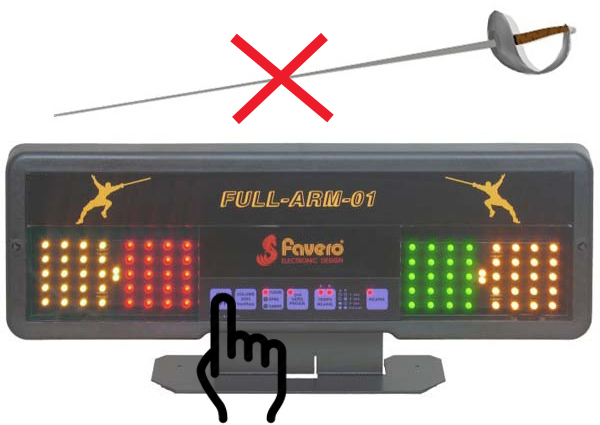 May we ask all users of the electric scoring machines not to use their blades to press the buttons. You might be tired during your fights but please make an effort and squat/bend forward to find that button with your hand. It's good for the body to move and it's bad for the machine to be pocked with the blade. Thank you for your understanding. Just a quick reminder: no training will take place on Bank holiday Monday, 28 August. Enjoy the day off, relax and attend any other session later that week instead.